UNP MP Chaminda Wijesiri yesterday complained in Parliament that he has been receiving anonymous phone calls asking him to stop questioning the conduct of the Uva Chief Minister and the Uva Provincial Council. 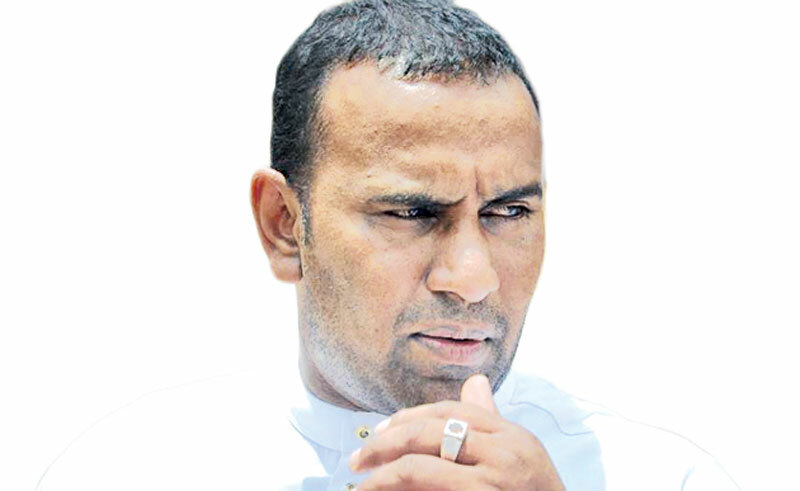 UNP backbencher Wijesiri has been raising question after question about the Uva Chief Minister from the Provincial Councils and Local Government Minister in Parliament in the recent past. The MP also said subject Minister Faiszer Musthapha has also personally asked him not to raise questions about the Uva Chief Minister. Minister Musthapha was not present in Parliament yesterday to reply to a question by Wijesiri on the Uva Chief Minister and Chief Government Whip, Minister Gayantha Karunathilake replied on his behalf. MP Wijesiri told Parliament that the Uva Chief Minister has appointed eight advisors even though Chief Ministers could only have one advisor as per a Cabinet decision taken on September 16, 2015. “When I revealed this on the previous occasion former Deputy Minister Priyankara Jayaratne told the House that he instructed to suspend those appointments. The Speaker also expressed his concerns over the matter and requested to look into it. Yet, despite these statements these eight advisors still receive salaries and allowances and two of them receive two salaries from the Provincial Council. As per an audit inquiry, these advisors had also taken part in foreign tours at the cost of Provincial Council funds,” he said. Speaker Karu Jayasuriya asked the Chief Government Whip to inform Minister Musthapha to report to Parliament the next day and reply to this question. “Had such an incident happened,it is not good and also undermines Parliament. Ask the minister for an explanation in this regard,” the Speaker said. MP Vasudeva Nanayakkara intervening at this point said the matter could be probed if it was referred to the Public Accounts Committee.